Are you worried about bad breath? Maybe you are wondering what causes it and what you can do to avoid it? Don’t worry, you are not alone. Medical News Today report that bad breath affects an estimated 25% of people. Chronic bad breath is known as Halitosis. This doesn’t include morning breath or the moments that follow a spicy meal either. If you find yourself having bad breath more often than not, we understand that this can be embarrassing, but the good news is that there are ways you can combat it! Let’s explore the most common causes of bad breath. It’s no shock that garlic will top the list of foods that emit an odour once consumed! But, interestingly there is a reason why it is so much more smelly than other foods. 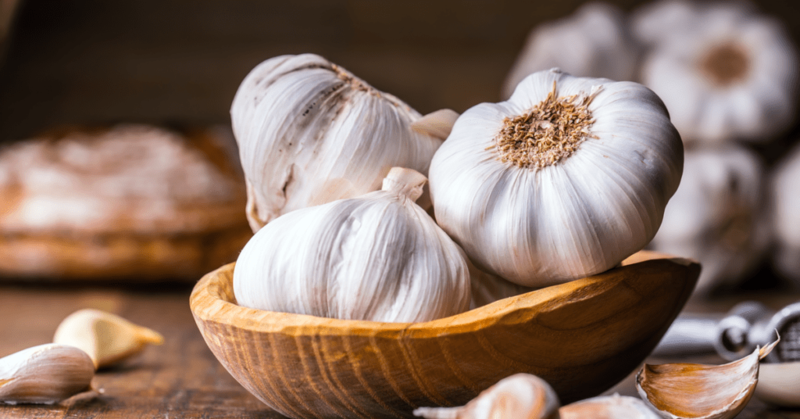 Garlic gets absorbed into the bloodstream, meaning that it will make its way into your lungs and each time you exhale another garlic-y wave will follow. Other foods include onions, highly acidic foods such as lemons, oranges and tomatoes and foods that get stuck in the mouth or between teeth because of their tough or sticky nature. A little tip to ensure your breath is fresh for work is to incorporate a breakfast that includes rough foods that can help clean the back of the tongue. We are all aware that smoking can seriously harm your health, it can also leave you with unwanted smelly breath. Over time tobacco can reduce your ability to taste and will also irritate your gums potentially leading to gum disease. 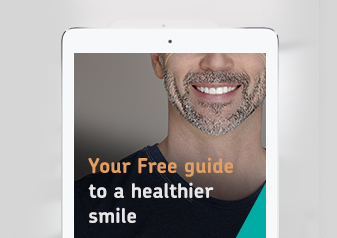 Tobacco has its own unique odour that will be left with the smoker, whilst gum disease and the buildup of bacteria in the mouth will also cause bad breath. Brushing and flossing twice a day is the key. By not following this, slowly bacteria will build up forming plaque, which does not necessarily have to be visible but can still cause inflammation of the gums known as gum disease leading to bad breath and ultimately tooth loss. Brushing and flossing ensure the removal of small particles of food that can build up and slowly break down, producing odour. Are you feeling thirsty? A cause could be that your mouth is not producing enough saliva. The reason saliva is so important is because it essentially washes your mouth throughout the day. If you don’t produce enough, essentially your mouth won’t be being cleaned as much as it should be. If you do feel like you suffer with a dry mouth, our tip would be to chew on sugar-free gum as this will lead to the increase in production of saliva. 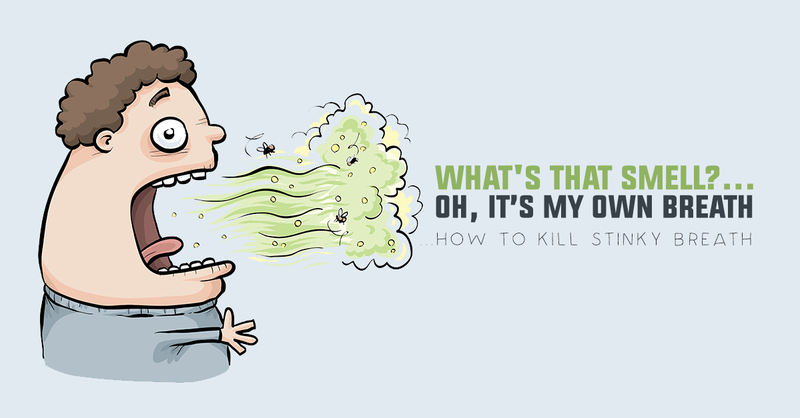 Sometimes bad breath can be caused by medical conditions which are out of our control. These can include but are not limited to the following: a sinus condition, gastric reflux, diabetes, liver or kidney disease. In the event of the above cases, we would always recommend visiting your doctor for further advice. Make sure you brush and floss twice a day. This is the fundamental step to ensuring your mouth stays clean and fresh. Don’t overlook cleaning your tongue as well as your teeth. Stick your tongue out and you may see a white or brown film, this could be a reason for bad breath. Use your toothbrush or tongue scraper to promptly remove any risks. 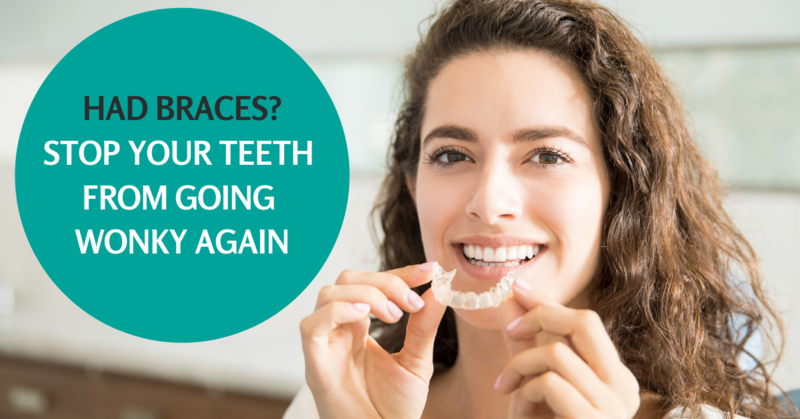 Do you wear removable dentures? Ensure you take them out before you go to sleep and clean them thoroughly as advised by your dental professional before wearing them the following day. If you are concerned about bad breath and want to seek dental advice, we are only ever a phone call away here at The Dental Suite. One of our friendly team will be on hand to get you booked in for a consultation. Our phone number is 01509 231 144.